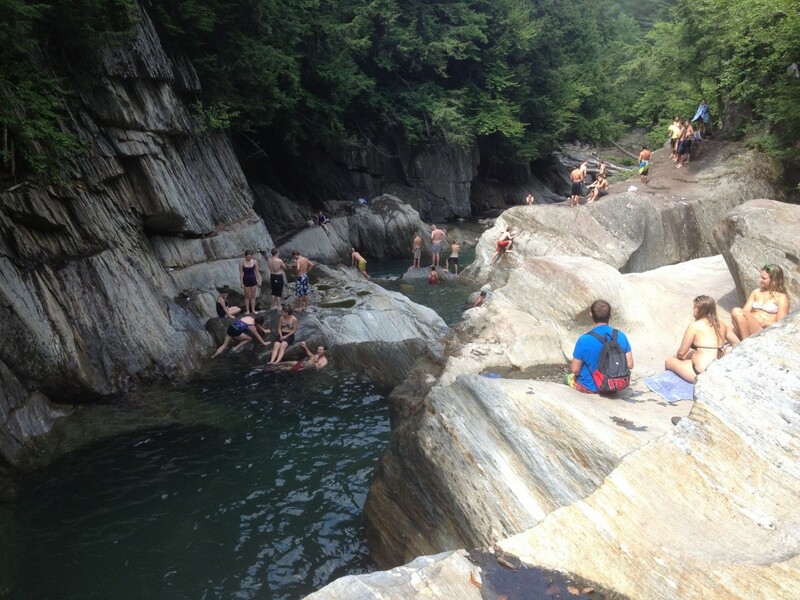 Warren Falls; Warren, VT - Take a day trip! 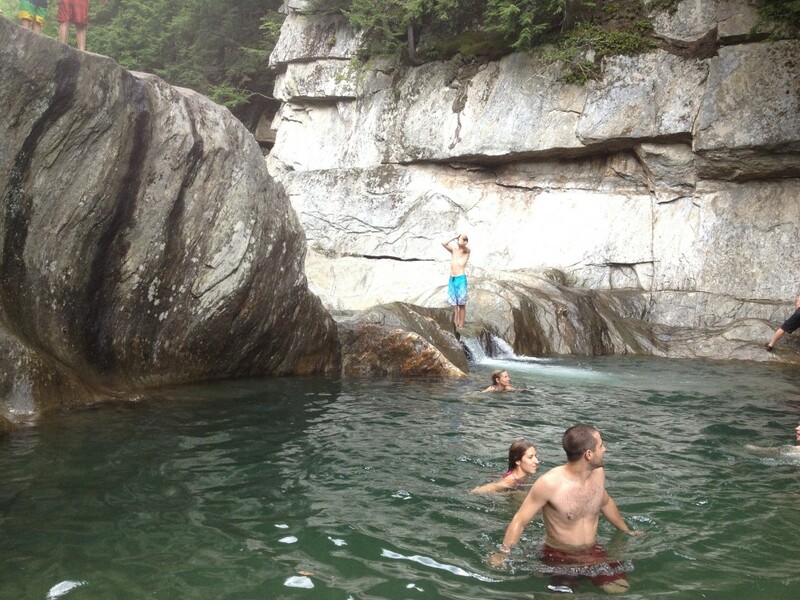 Warren Falls is a classic Vermont swimming hole on the Mad River at the southern end of the Mad River Valley just south of Downtown Warren on Route 100. It’s a great combination of some small pools and waterfalls with some great places to work on your cannonball technique! Looking down the Upper Section of Warren Falls in Warren, VT. The lower section of the falls has a couple nice pools to hang out in and there is a path running from the parking lot can access the falls at several spots. Lower section of Warren Falls in Warren, VT.
On a summer weekend it can get a little crowded since it is less than a quarter mile walk from the parking lot. Facilities, fees and other information: There aren’t any facilities here or any charges to enjoy an afternoon at Warren Falls beyond a couple dirt parking lots off Route 100. If the parking area on the southbound side is full there is a small dirt lot on the northbound side of Route 100 just a little north of the area on the southbound side. Great Nearby Spots: If you’re looking for another place to swim I’d recommend Bristol Falls and it’s under a half hour away. If you’re looking to hike, bike, zip line, golf or enjoy some other resort activities Sugarbush Resort is also just a few miles up the road.